Datuk Seri Najib Abdul Razak has advised the people, especially those in Sabah, to reject rumours that the country's security has been weakened by the armed intrusion in Lahad Datu and nearby areas. Najib said more personnel are being sent to Sabah and believed with such adequate manpower will strengthen the capability to handle the situation. Meanwhile Home Minister, Datuk Seri Hishammuddin Tun Hussein has urged the armed intruders to surrender or be ready to face forceful action from Malaysian security forces. Hishammuddin also said he would stay in Sabah to monitor the situation from time to time. The public also been warned by Royal Malaysian Police to do not share any information regarding the police and army position because it is a national defence secrets. Any information disclosure is dangerous since the intruders might get the information as well. 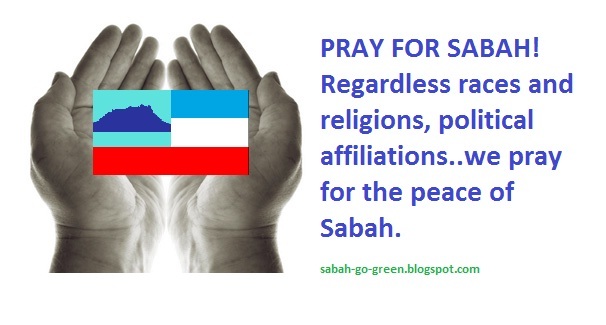 Malaysia's police chief Tan Sri Ismail Omar has refuted rumours that 700 Sulu gunmen have entered Sabah. Tan Sri Ismail said the Sulu gunmen were not showing signs of surrendering, thus the operation against them was ongoing.